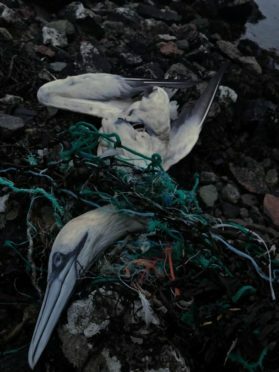 Calls have been made to combat marine litter after a Shetland man photographed a gannet which appeared to have died after becoming entangled in rope and twine. The discovery of the bird was made by Jordan Clark this week at the island’s Mavis Grind. The 24-year-old has now made calls for people to do their bit in the fight against marine litter, with calls being echoed by Scottish Natural Heritage. He added: “The issue of marine litter is very important to me, I spend a lot of time by the sea or in it. 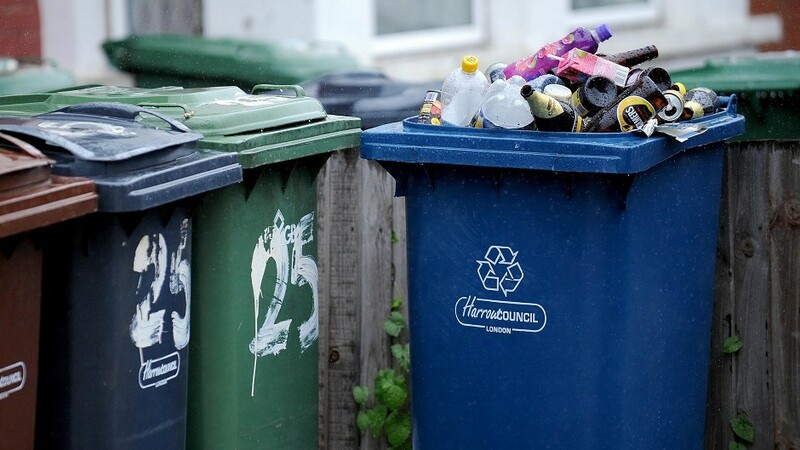 The marine litter problem on Shetland is said to be a global problem as debris from shores far way is known to wash up around the island’s coast. Mr Clark encouraged fellow islanders to adopt the approach of the #2minutebeachclean movement which encourages folk to do their bit when they can by taking home and disposing of waste found washed up around the island. The gannet which became entangled in rope and twine. Karen Hall, a Scottish Natural Heritage marine ecologist based in Shetland, said: “We’re always really saddened to see images of entangled animals. Marine litter, including fishing gear, is a huge international problem and a threat to wildlife both in the sea and on the shore. “SNH is currently working with the fishing industry and other public bodies to reduce the risk to our wildlife of getting caught up in fishing gear. In May last year, two dead red stags washed up on the shores of Rum with their antlers joined together with discarded rope, with another prowling the landscape majestically with a distressing “crown” on his head consisting of rope and a buoy.